Going off my animation and slightly extending upon the original story, my plan for my short “Computer Worlds” would be to turn it into an interactive VR experience, plunging the viewer into the world of Windows 3.1. While the animation and storyline would remain the same for the most part, new, interactive aspects would be added. 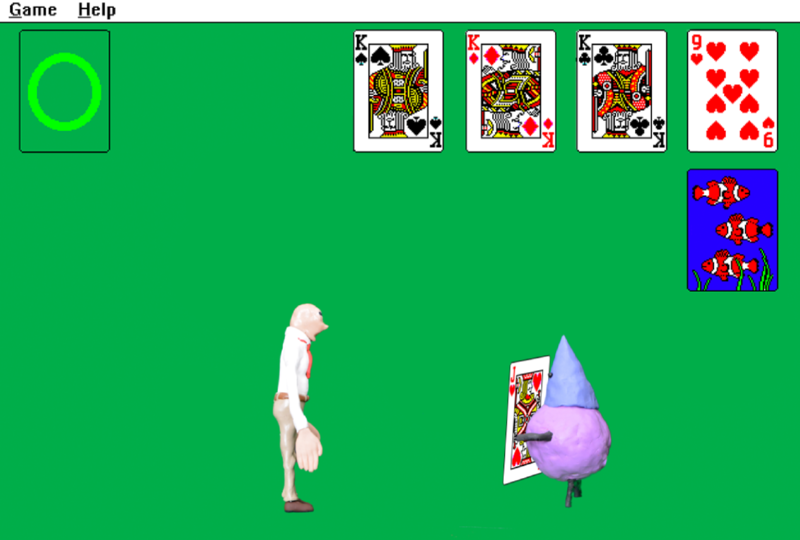 The first one of these that a user would encounter would be the ability to play the game of solitaire that two of the main characters cannot beat at the beginning of the animation. 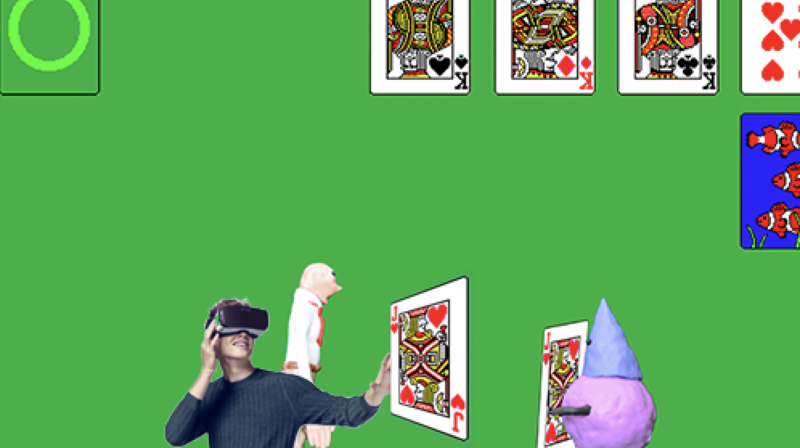 Because it is crucial to the story that they cannot beat the game, the game of solitaire would freeze / glitch near completion, at which point Cone-Man (who blames Gerald for ruining the game in the original animation) would turn towards the viewer, screaming at them. Continuing into the next scene, a group therapy session, the viewer would then be asked to share something in group therapy. All the characters in the animation would look towards the viewer, encouraging them to participate in their “first session”. A microphone on the VR headset would recognize when they had actually said something, and all the characters would then criticize them for over-sharing, then moving along with the story. In the next scene, the viewer would be asked to play minesweeper (again, a rigged game). Similarly to Solitaire, after a timer had reached one minute, no matter which square the viewer pressed on, they would explode, in turn ending the game. While being chased by the virus, the viewer would have to throw files at it in order to slow it down so that it could not catch up and get them! 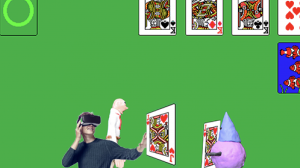 To finish the interactive aspect of this VR experience, the viewer would be yelled at by all the characters to find the computer’s cursor somewhere in the digital landscape. Upon finding it, they would cancel the virus’s extraction, saving the day. Because I would love to turn this animation into a VR experience, I might learn Unity this Summer to turn this into a reality. In addition, I would most likely use the 3D models for every character that I created as opposed to using clay, because it would be much easier to work with these assets in Unity. Ideally, I would love to run this project using the HTC Vive with the motion tracking cameras so that the viewer would be able to actually move around within the environment. Step 4: Enjoy the experience! By turning this animation into a VR experience, people would be able to experience the story first hand. What was once just a video would now be a full experience in which the user can not only interact with environments, but characters as well. I believe this would create a much fuller and more enjoyable viewing experience.